Like new in original packaging with LWB. Deck never used. Out of print. A 22-card majors-only deck. 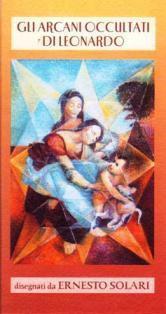 The images are adaptations and reproductions by Ernesto Solari based on original works by Leonardo da Vinci. Some cards are colored pencil drawings. Others are watercolor, photographs, and collage of photographic reproductions and adaptations of original works.